VR has dominated headlines so it’s little surprise to see it leading the way in consumer interest. The available content has improved significantly over the past year both in terms of gaming and video content – leading BAFTA to launch dedicated VR awards for the first time. 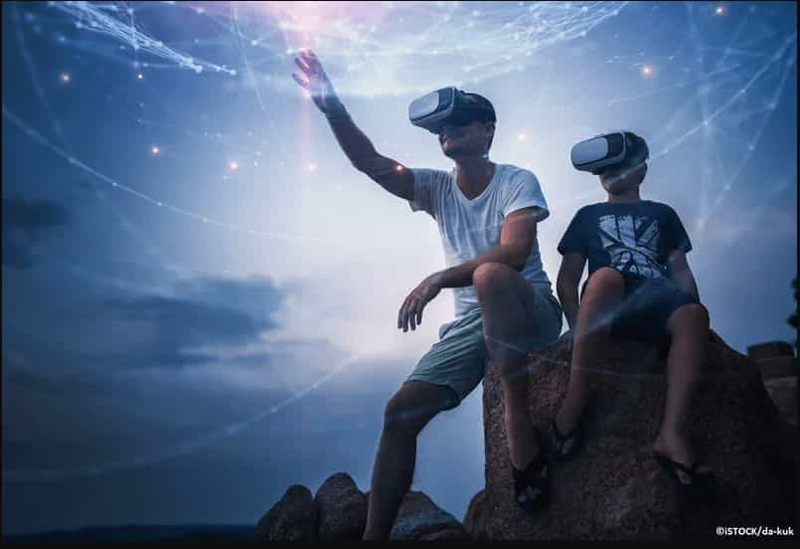 While it previously took a high-end PC and expensive VR headset to experience virtual reality, it is now becoming more accessible due to increased presence at events, for pop-up marketing, at dedicated businesses, and the arrival on a console with the Sony PlayStation VR. Lower-cost mobile platforms – such as Google Daydream – have also improved this accessibility. “Google Daydream is having a big impact on the mobile VR experience,” says Sean Duffy, Technical Director of Holosphere VR. “2017 should see a boom in Google Daydream-ready devices on the higher end of the Android ecosystem, and this has the potential to bring quality VR experiences to the masses via the world’s most wide reaching mobile Operating System. Similarly, the growing interest in AI is also of little surprise over the past year. Amazon’s AI on its popular Echo line may be lacking in its ability to handle general queries, but the devices have been phenomenal successes in sales and developers supported it with thousands of ‘skills’ to integrate other services and products. Google Home is also gaining traction. While it’s struggled to gain the number of sales as retail giant Amazon and their Echo line, it’s received several updates which has shown off Google’s prowess in machine learning, the wealth of knowledge built from years of crawling the web, and their AI’s ability to understand natural queries including who is asking to offer personal responses. Meanwhile, Apple announced the HomePod with Siri integration which is sure to be a hit with the company’s legion of loyal fans and provide easier smart home control with the many third-party devices which now support HomeKit. Wearables appear to have been a missed opportunity for Google and its Android Wear manufacturers. Apple continues to be a clear leader in this area with decent sales of the Apple Watch and updates which show how a wearable can improve your daily life. In WatchOS 4.0, Apple included a new feature called GymKit which allows you to pair your smartwatch with your gym equipment for customised workouts and tracking. While only useful to people who actually go to the gym, and to premises with supported equipment, it’s a demonstration of what a wearable should do beyond just being an (often pricey) extension of your phone. Google has moved slowly with Android Wear and the wearable platform has little to offer when compared to Apple’s other than a more diverse range of hardware. Many expected Google to launch its own watches similar to its past Nexus line of smartphones and compete on being cost-effective instead, but this never transpired and the company launched Android Wear 2.0 on two devices from LG at a similar price to competitors. “We’ve seen apps like FaceApp come onto the market and boom in a matter of weeks. There is no denying that AI, VR, and AR are here to stay – because people want them,” adds Cartledge. So there we have it: AR, VR, and AI seem to be pretty safe bets to be here for the long-haul, and it’s worth considering these breakthrough technologies for your next app or game development. The future of wearables is less certain.